IF YOU ARE A POLICE OFFICER OR A FAMILY MEMBER OF A POLICE OFFICER YOU NEED TO SEE THIS!!!! Police Officers face the unknown and the unknowable every day, and it takes a toll on them. The stress of Policing often results in family breakdown, alcoholism, drug abuse, gambling addiction and sometimes even suicide. The job makes us angry and withdrawn and has a massive impact on our personal lives. There is no one else coming, you HAVE to take control of this situation for yourself. Please click this link to find out how you can combat the stress that comes with being a Police Officer. 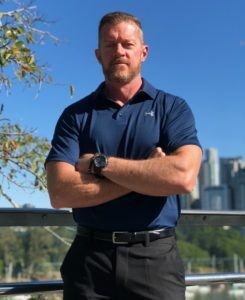 I was a Police Officer in Queensland, Australia for 13 years, 9 of those years as a K9 handler.Due to the violence and trauma I experienced, I retired from the job with PTSD, clinical depression and I battled suicide for many years. I have spent the past 16 years educating myself on all aspects of Critical Stress, Human Behaviour, and Resilience. I have recently presented this information through more than 45 workshops to over 1,500 Police Officers in Australia. The feedback from these presentations has been humbling and unbelievable. Many have stated it is the best information they have received in their career and believe it should be compulsory training for every Police Officer. I have had many of these Officers, and their spouses, tell me this information has fundamentally changed their lives. I have put everything I have learned into an online video course to help you deal with what you see and experience to avoid getting to where I was, lying in bed 3 nights in a row with a Glock in my hand going to end my life. I have had numerous Police reach out to me from USA, Canada, UK, and Australia who were struggling with PTSD and Critical Stress impact, the information I present in this course has allowed them to pull themselves out of the darkness and get back on track. Some of them have told me this information has literally prevented them from taking their own life. Please click the link below to go through and see what the course contains, this education could save your life. There is a free trial so you can look at the format and some of the content before you decide if it is for you. I have now dedicated my life to helping Police deal with what they see and experience on the job. I hope to see you on the next page.